The price of bitcoin fell Wednesday under the symbolic threshold of $ 10,000, showing a loss of 50% on its peak in mid-December and more than 15% on the session, while calls for the regulation of cryptocurrencies . The price of bitcoin, virtual means of payment that is not regulated, fell Wednesday under $ 10,000 for a bitcoin, level under which it had not passed since early December. Around 14:25 GMT (15:25 in Paris), the price of cryptocurrency has fallen to 9,730.42 dollars for a bitcoin, its lowest level since December 1 and a fall of nearly 50% since its historic peak reached the December 18, according to figures compiled by the Bloomberg financial data provider. Bitcoin was worth a few cents at its launch in February 2009 by one or more computer scientists hiding under the pseudonym Satoshi Nakamoto and had reached $ 19,511 last month. All crypto-currencies were affected by the decline, according to the trading platform coinmarketcap.com: the ethereum, the ripple and the bitcoin cash lost Wednesday around 14H25 GMT respectively 23.53%, 27.86% and 21.71% over 24 hours, while bitcoin was down 16.54% over the same period. Bitcoin, a peer-to-peer payment system, is present on specific trading platforms and not on regulated markets. It has no legal tender and is not governed by a central bank or a government, but by a large community of Internet users. His strong point for his supporters is that he can not be subjected to the temptation of the “printing press”, but these critics emphasize his opacity and extreme volatility, denouncing the creation of a speculative bubble. “Speculative investors leave the ship,” said Craig Erlam, an analyst at Oanda. “This is not to say that bitcoin will collapse, but the warning signals of recent weeks have been confirmed,” continued the analyst, for whom we must now see how long crypto-currencies will put to regain a foothold. 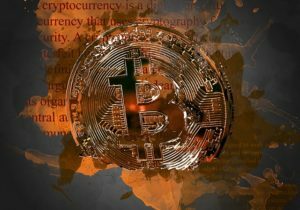 According to analysts, the fall of bitcoin is explained in particular by the indications of a hardening of the authorities with regard to crypto-currencies, in particular in South Korea and in China.